The Raven EU Series enters the market with style, performance and compatibility at an attractive price point to suit any Airsofters from young to old, casual to milsim. As far as we can tell part compatibiliy is WE/TM. If choosing a pre-installed internal upgrade package that we will need an email from you specifying your site FPS limit before we can start work, this is because we will customize several of the package parts based on your FPS level. We can cater from 280 FPS up to 470 FPS for this particular AEG, please also allow up to 7 days while we prepare your custom AEG. 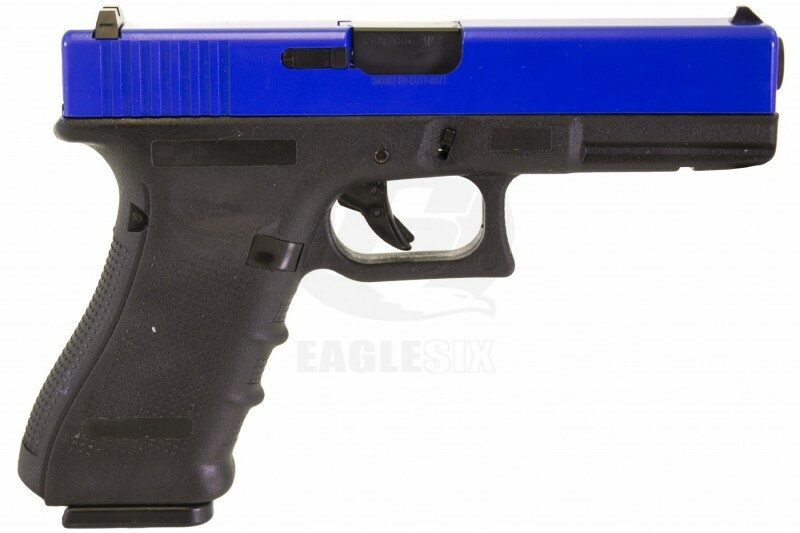 Eagle6 returns all original parts back to you with the gun when we ship it back on any custom work done. Some times parts can be hard to source, if your gun breaks at some point in the future, we promise to help you with our renowned passion for parts to source a replacement part for your gun you have bought from us. This doesn't mean unlimited free parts, it simply means sometimes finding original parts can be hard and we want to help you fix your gun that you bought from us for as long as you own it. While we always try to help customers source parts for guns they haven't bought from us, unfortunately we can only offer this "guaranteed" parts sourcing service for customers who have bought guns from us as a thank you, otherwise it would simply be too time consuming and expensive for us to find hard to find parts for everyone. Eagle6 Workshop "The Eagles Nest"
Should you need to upgrade, repair or simply have your gun serviced, The Eagles Nest is always here to help. Buying from us means you will never be left out in the cold with a broken unusable gun or having to hunt round for a workshop to fix it. You can post or drive a gun to our store and book your gun in at our workshop which has very sensible labour fee's per hour. All repairs are videoed and displayed on our facebook page to give you confidence and transparency when it comes to our repair and upgrade work.